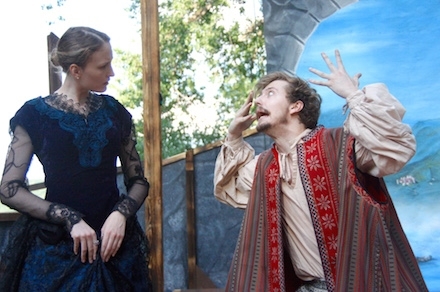 "Summertime in Ithaca — of all the pleasures uniting art and nature, Ithaca's own Bard-in-the-Park has to be near the top of the list...Pack a picnic supper, bring a chair or blanket, catch up with friends, and enjoy the talented ensemble. 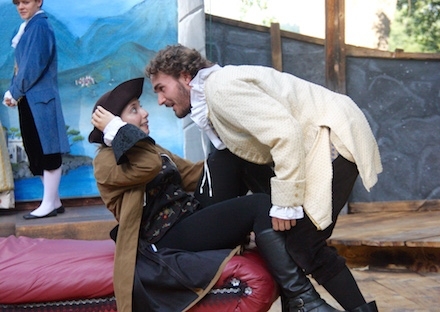 "Situation comedy, slapstick, romance, satire and very clever dialogue — this 'Twelfth Night' spills over with it all — irresistible!" 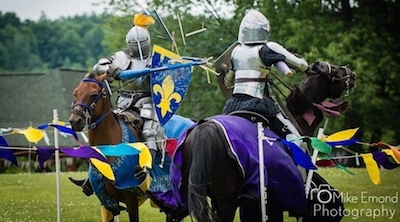 Jousting On Saturday And Sunday! We're hosting a variety of pre-show entertainment at the park before each performance this year. On Saturday and Sunday this week, July 16 and 17, come out around 4:30-5 pm and see mounted medieval jousting by Paragon Jousting! It's so cool we can hardly believe it's happening! 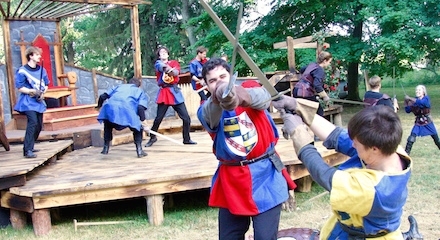 See more details about our pre-show mini-Ren Fest here. 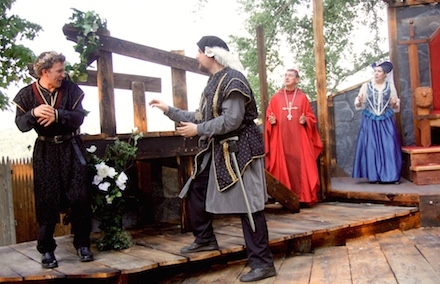 While we love our new performance site at Allan H. Treman State Park, the walk from the parking lot to the performance space is a little longer than before...but never fear, the Bard Buggy is here! 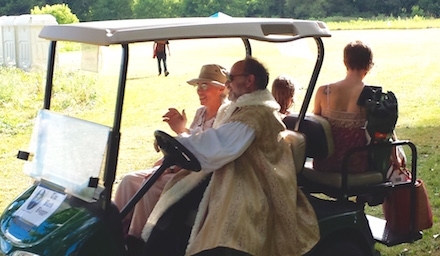 Thanks to the generosity of Empire Golf Cars and the Country Club of Ithaca, we've got a great electric golf cart available to transport mobility-impaired audience members back and forth. And it's driven by the ghost of King Henry IV!